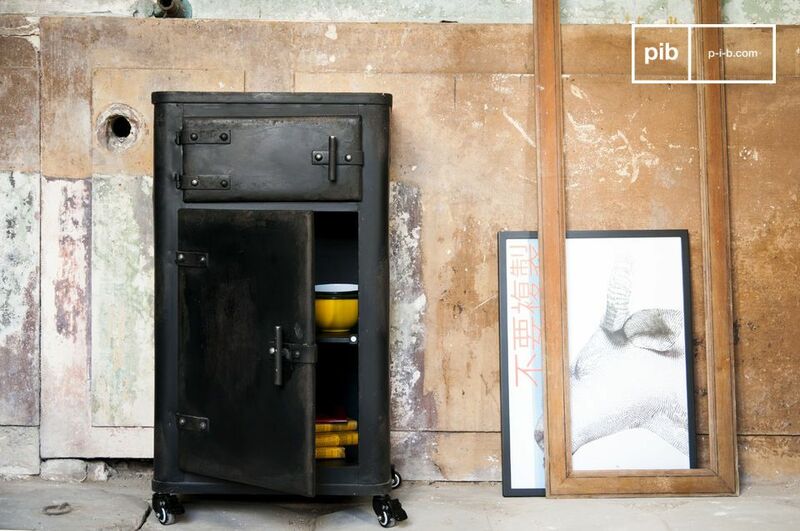 The Mox cabinet is a real industrial furniture piece that will not leave you cold. 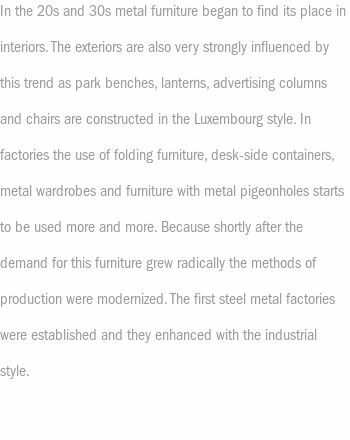 Its massive structure and the dark finishing are reminiscent of the aesthetics of old safes. 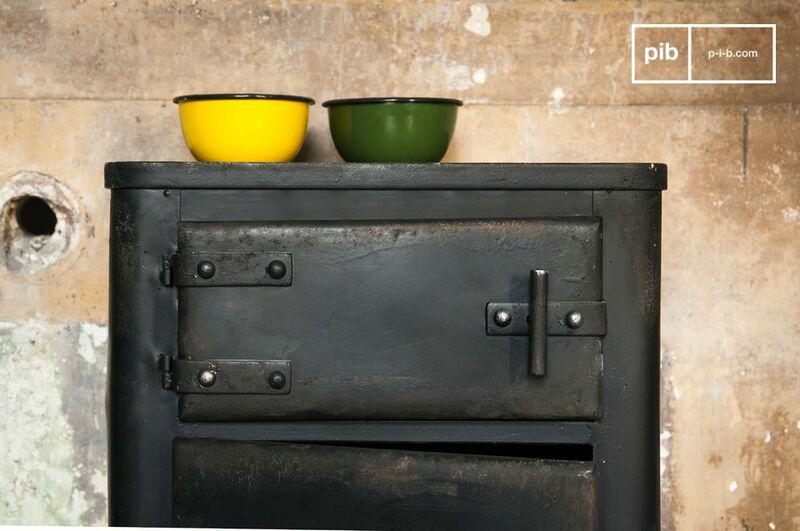 This metal cupboard consists entirely of metal, which spreads a special raw vintage charm thanks to its dark colour and aged details. The Mox cabinet has two separate storage areas in its interior. The upper surface is relatively small. The lower one is generous and has two panels. 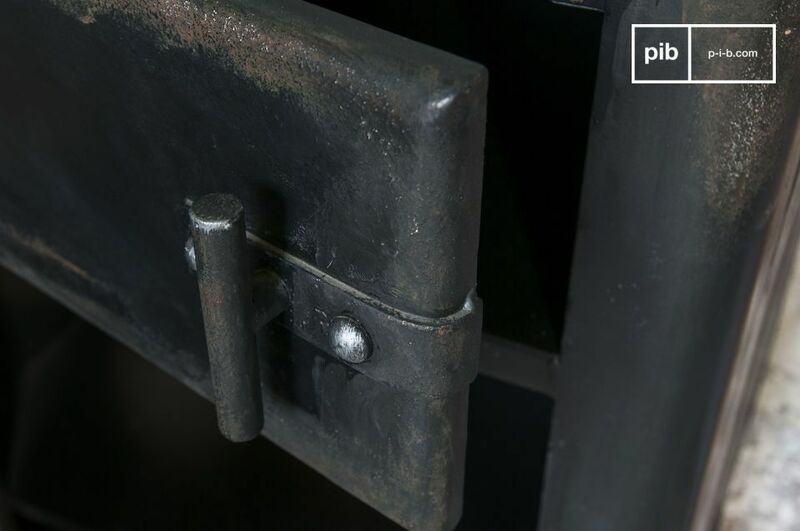 These two storage spaces are closed thanks to two doors, which are thick, have large handles and visible rivets. 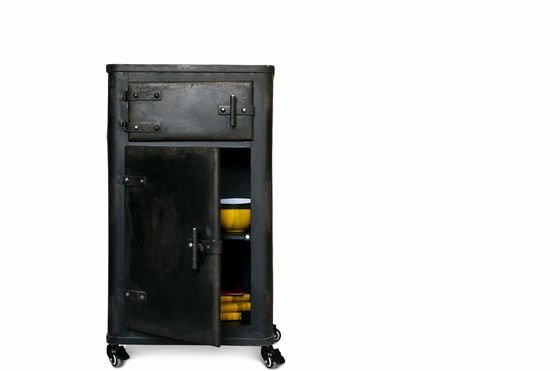 This metal storage cabinet has four wheels with brakes that facilitate moving of the cabinet and, at the same time, ensure a lot of stability. The Mox cabinet is an exceptional piece of furniture that will allow your imagination to run free when giving it just the right role in your home. In your living room you can use it for your precious bottles. In the kitchen, it will be perfect for creating space for your oil bottles, herbs and cookbooks. "Very nice article. 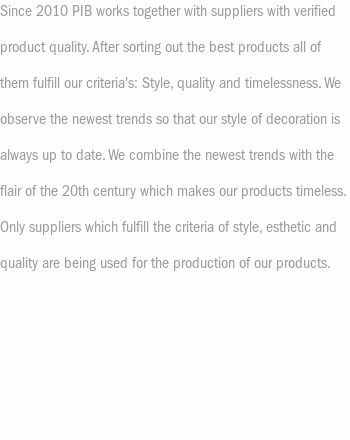 Good quality and good finishes. "